JASNA President Claire Bellanti visited Hawai`i as scheduled, to lecture at the University of Hawai`i and the Hawai`i State Public Library. The visit was covered in an October 22, 2015 feature article in the Honolulu Star Advertiser. 32 people attended the Friday UH lecture and an overflow standing room only crowd of 85 came to the Saturday lecture at the State Library. Feedback was overwhelmingly positive. On Friday night, Ms. Bellanti met with local members for dinner at Tiki's in Waikiki. 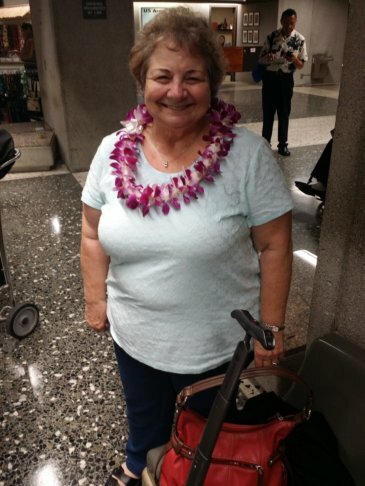 JASNA Hawai`i is most grateful to Ms. Bellanti for taking time from her busy schedule to visit us in Hawai`i nei. 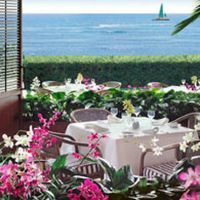 Our December 12, 2015 Jane Austen Birthday Tea at Orchids in the Halekulani is fully booked. We regret that we could not accommodate non-member guests. Additional JASNA Hawai`i members who are interested can get on a waiting list in case of cancellations by writing to the Regional Coordinator at rc@jasnahawaii.org.